''Estates at Robbinsville'' is a community of 19 Homes to be built around New Cul-de-Sac in Prestigious section of Robbinsville. The dramatic Two-Story Sutton Model Entry leads to a Grand house with multiple floor plan options featuring a Study or Optional First Floor Bedroom Suite, Two Story Family Room w Gas FP, Lg Eat-in Kitchen w Center Island, Granite counter tops & SS appliances. Other highlights include: Formal Living Rm & Dining Rm, Kitchen w Center Island and a Breakfast area, private Study, Princess Suite, Jack & Jill Bath and gorgeous Second-floor Overlook. Master Suite features lg Walk in closet/s and is separated from secondary Bedrooms. 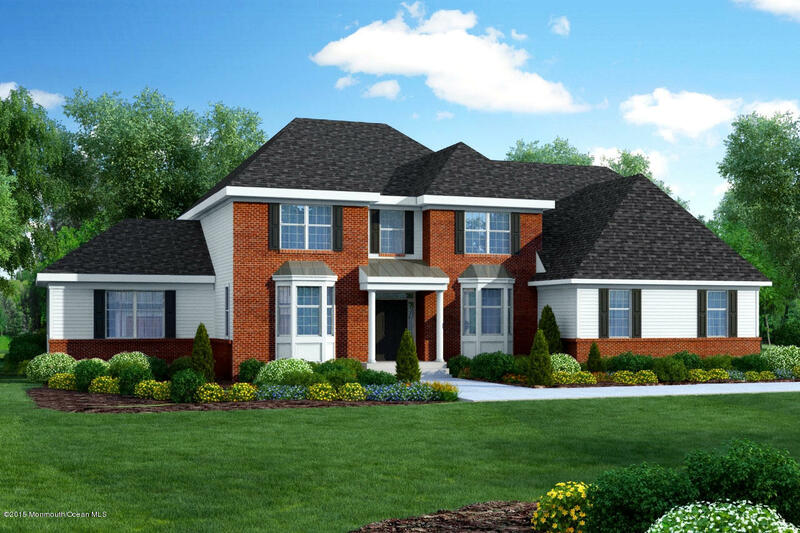 This open & Versatile floorplan is an excellent design for raising a family or entertaining. Lot Premium not included in List Price.